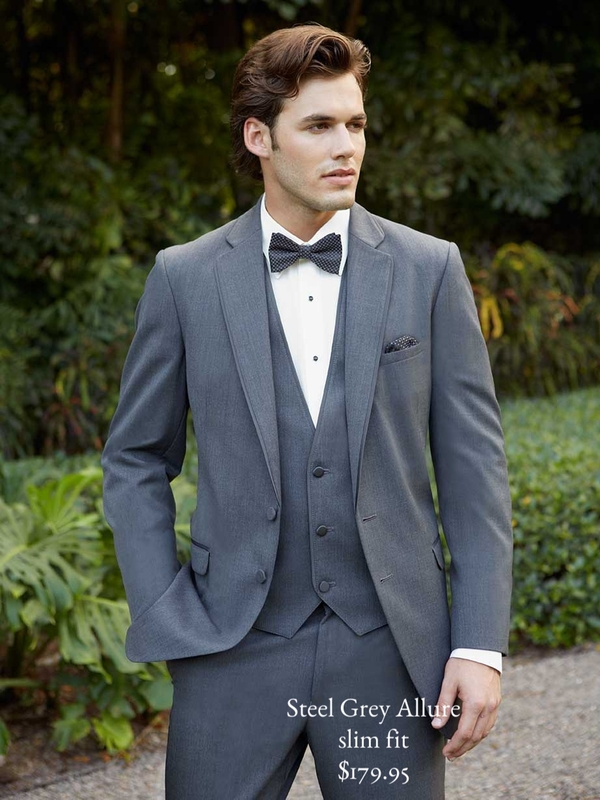 All allure tuxedos are slim fit and have matching vests, though classified as a tuxedo they have a suit-like look to them that is more modern for today's wedding. 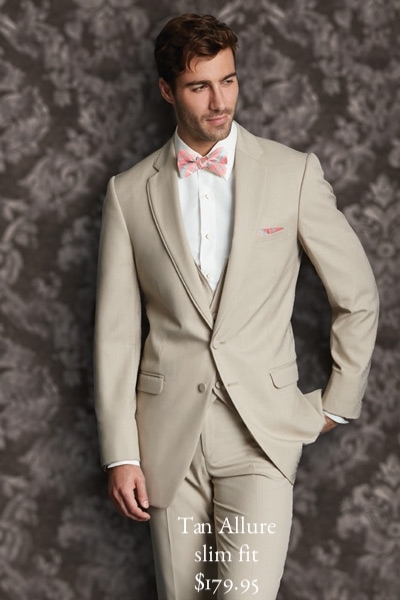 As always Hart's has hundreds of colors for vests and ties to choose from not listed on the website, call for specific colors or come in for a visit. Wedding Parties: Please be fitted at least 3 weeks in advance.